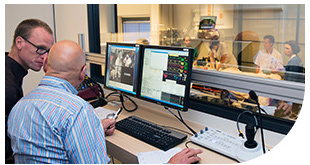 Simulation optimises the interplay between people, technology and organisation of healthcare. 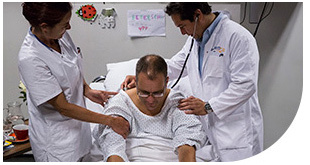 Our main goal is to spread simulation around the world in the interest of improving patient safety and quality of care. We see simulation both as a tool for the analysis of work systems and processes and as an interventive tool for education and training. We aim for a safe and friendly yet challenging working atmosphere. Our courses are based on needs analyses and careful course design that we update as necessary. We use a mix of instructional methods to make our courses stimulating in all phases and the learning sustainable. The EuSim Simulation Instructor Course enables you to start running simulation-based courses for acute care medicine and we are also addressing issues of Crisis Resource Management (CRM). Failure of Crisis Resource Management (CRM) is related to many adverse events. 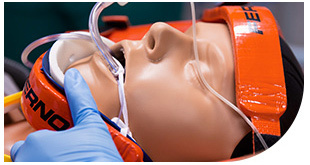 We offer practical training designed to improve your understanding and embedding of CRM in simulation courses. The focus of this course is to provide participants with the knowledge, skills and attitude to enhance their current practices of a course director or to begin undertaking the role of a Course Director/Manager.